She's making friends for the first time ever. 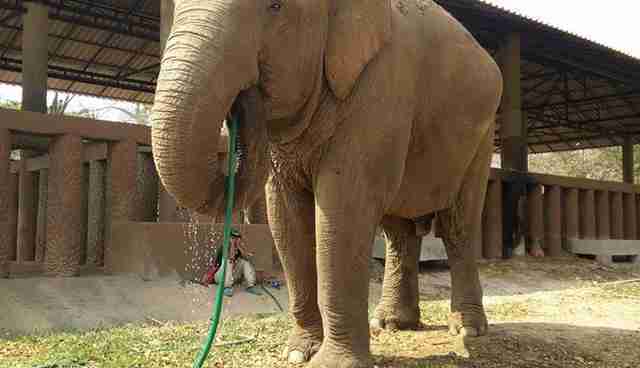 Lucky the elephant started working in the circus when she was only 4 years old. Several years later she developed a terrible eye infection - but was still forced to work anyway. 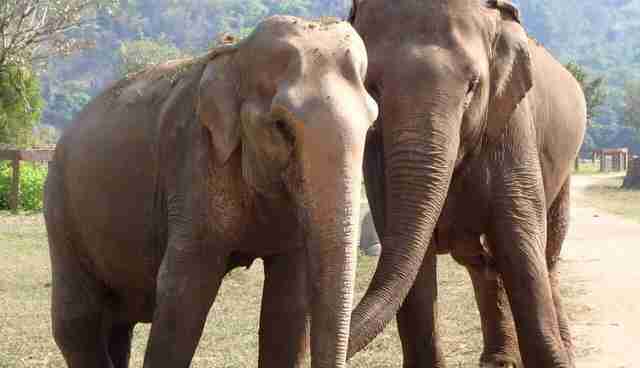 The harsh spotlights made Lucky's eye infection worse until eventually she went completely blind. Lucky was still forced to perform, give rides and pose for pictures, and then she was retired and kept chained in a backyard for a while. 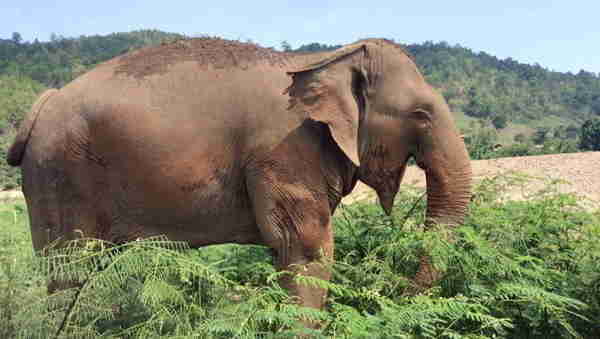 When Lucky was finally rescued by Elephant Nature Park in 2013, she was more than ready for a fresh start at life. ... or chasing other animals away from her breakfast. 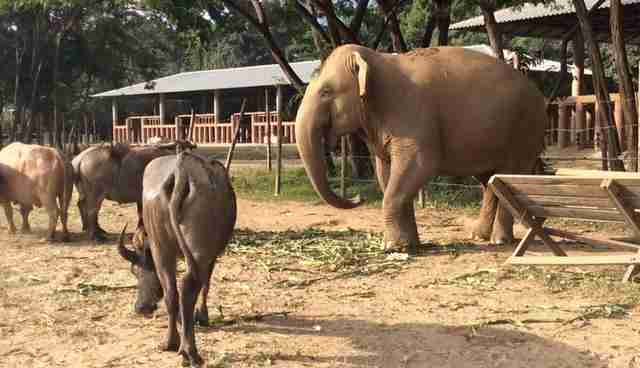 Lucky has made two best friends since arriving at the sanctuary, Bua Loy and Mae Bon Ma. Lucky never strays very far from her friends. Her other senses have become especially heightened since she went blind, and she can always tell if her friends are sick or in need of some extra help. Lucky had an incredibly rough start to life, but that hasn't stopped her from enjoying her well-deserved freedom. 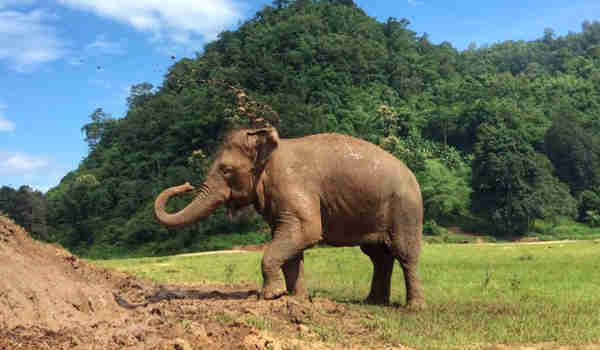 To help other elephants like Lucky, you can donate to Elephant Nature Park.